Our work in the education sector has expanded rapidly in recent years. Today we support Architects, Engineers and Consultants on the development of Universities, Colleges, Independent and Government schools. Historically the service centered on Topographical Surveying and Measured Building Surveying using traditional Total Station technology. However, since the Governments BIM Mandate, our briefs are more likely to require Laser Scanning surveys, Point Cloud generation and Revit (BIM) Modelling. The survey of Monkton Combe Preparatory School is a case in point. Our Clients, an award winning Architectural practice specialise in education sector projects. 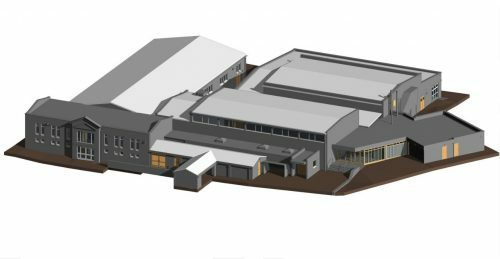 We have worked together for over 5 years and have developed an effective brief to delivery Scan to BIM procedure, even sharing the same specification documents. They write project briefs that fit seamlessly into our BIM workflow. Key to success is in developing a watertight specification from outset and checking that project shareholders have an identical view of outcome; in terms of tolerance and detailing. Monkton Combe is testament to the extensive work that’s gone into regulating our Laser Scan to BIM service. It’s become a robust and reliable 3D survey solution ready for similar projects in the education sector and across our commercial, industrial, and residential work. If you would like to learn more about our Laser Scan Survey to Revit (BIM) Model service, please do not hesitate to get in touch. We would be delighted to help and share our expertise.